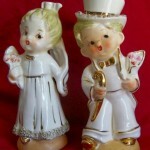 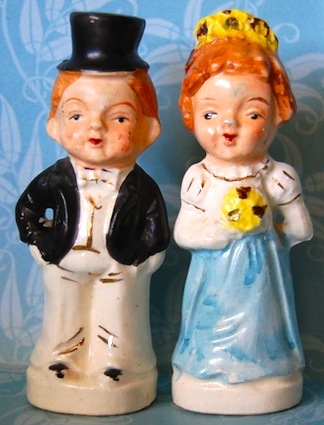 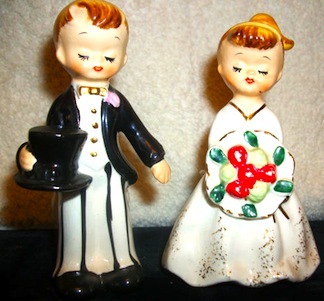 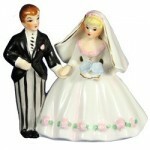 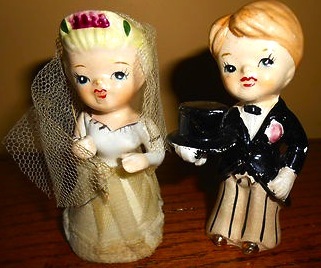 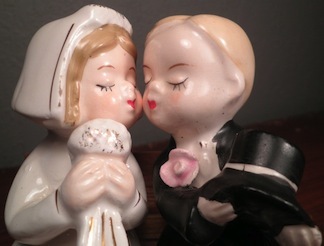 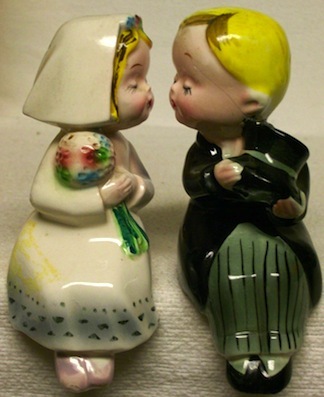 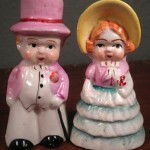 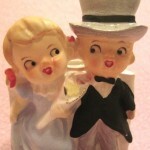 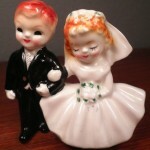 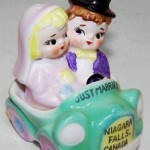 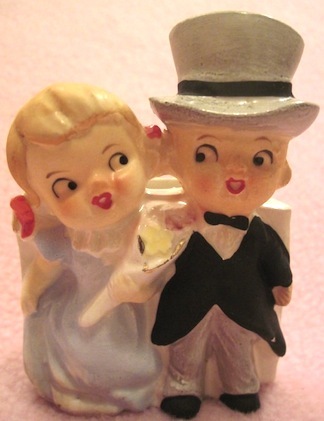 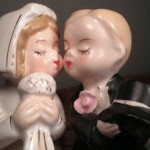 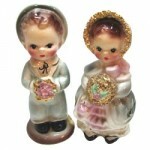 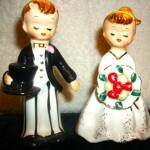 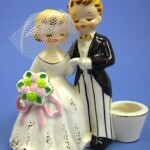 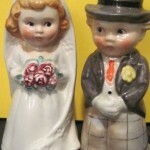 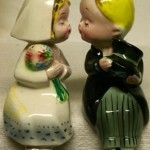 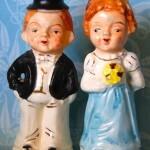 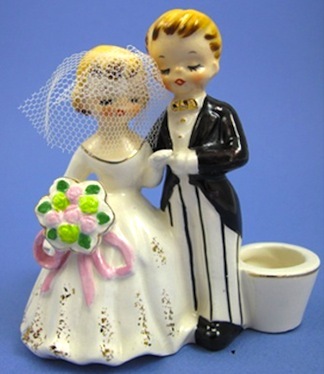 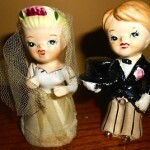 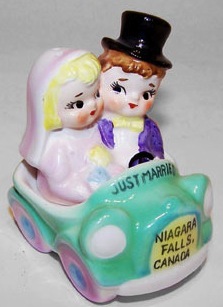 Aren’t these vintage 1930’s-1950’s vintage bridge and groom wedding figures and salt and pepper shakers so cute? 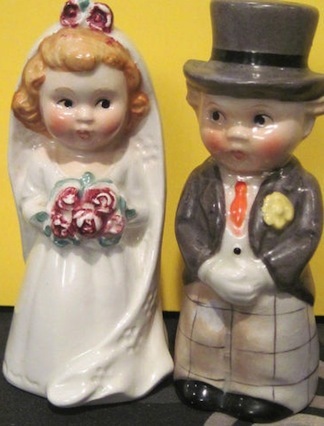 Today’s trends are all about up-cycling, re-purposing, and re-using so I thought these adorable vintage bride and grooms pictured here fit just perfectly into this theme for a wedding. Many couples today plan their ‘Vintage Wedding’ and even ‘Flea Market Weddings’ as these are very trendy wedding themes today (there is even a new magazine called Flea Market Weddings) and with June upon us, wedding season is in full swing. 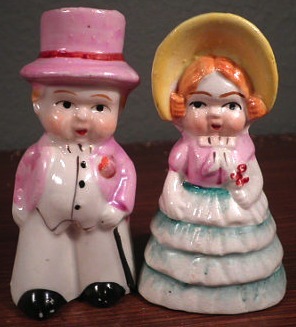 So, for couples planning their ‘big day’ and want some vintage charm added to their event, I hope they consider placing these adorable vintage bride and groom shaker sets on their guest tables, or make them part of the wedding favor that your guests will leave with. 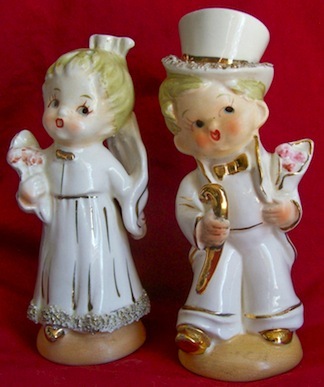 You can find these vintage goodies on Etsy, Ebay, Rubylane and at flea markets sand collectibles shops and many can be had for $9.99-$25 but expect to pay upwards of $60+ for the German-made Goebel shakers. 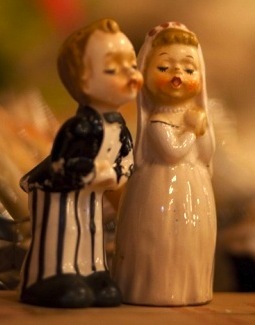 Cheer!